Search "Tailam" 45 results have been found. Ashtang Lakshadi TailamIt is useful in typhoid, cough, asthama, epilepsy and hysteria. Ashtang Kshirbala TailamIt is useful in externally in all neuromuscular(vata) disorder and in weakness. 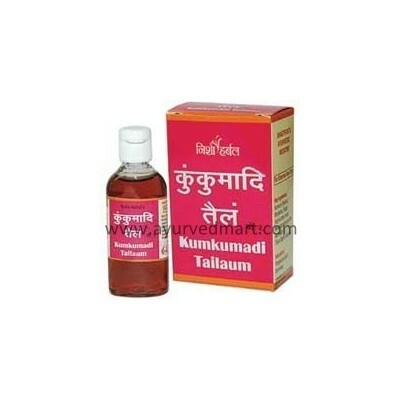 Ashtang Mahamash TailamIt is useful in externally in all neuromuscular (vata) disorder. Ashtang Mahanarayan TailamIt is useful in internally and externally in all neuromuscular (vata) disorder, erectile disorder, oligospermia and infertility. Conditions & General Massage. Ashtang Mahavishgarbh TailamIt is useful externally in all neuromuscular (vata) disorder. Ashtang Marichyadi TailamIt is useful in skin disorders like ringwarm, vitiligo (leucoderma). Ashtang Narayan TailamIt is useful externally in all neuromuscular (vata) disorder such as paralysis, paraplegia, facial paralysis (Belis palsy) & arthiritis. Ashtang Nili Bhringraj Tailamit is useful as scalp application and alopecia and premature graying of the hair. Ashtang Maha Bhringraj TailamIt is useful as hair tonic. Ashtang Nirgundi TailamIt is useful externally in fistula and abscess and goiter and sciatica. Ashtang Pind TailamIt is useful as massage in gout and other neuromuscular (vata) disorder. Ashtang Prasarani tailamIt is useful externally in paraplegla, sciatica and other neuromuscular (vata) disorder.